Should You Use Bitcoin Investment Services or Stick to Stocks and Bonds? 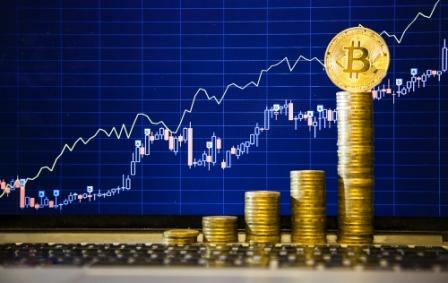 Unless you were living in a non-connected environment throughout 2017, you will have heard about the fact that bitcoin and other cryptocurrencies absolutely soared in value. While this has slowed down now, with the currencies actually losing quite a bit of their value again, it has given rise to various bitcoin investment services. If you want to invest, for instance for your retirement, you need to ask yourself whether bitcoin is a good idea or not. The safe bet has always been to go for stocks and bonds, but the reality is that they could also be wiped off the market in an instant. So should you go for bitcoin, or it is just a passing fad? Bitcoin is a type of currency, but it is very different from any currency we know. This is not just because it exists in digital format only, but mainly because it is decentralized. This means that it isn’t controlled by a government or central bank. It also means that, like with precious metals, a finite amount of it is available and no more will ever be created. There are multiple reasons why bitcoin suddenly became so valuable. One of those is the presidency of Donald Trump, which has put the world in turmoil. Not just that, there were various other monetary and geopolitical pressured environments, particularly in Venezuela, India, and China. This has resulted in investors looking towards independent currencies instead of traditional ones. In order to be able to invest in anything, however, investment services have to be made available. And it seems that they are truly needed for bitcoin, because it is now even possible to include them in an Individual Retirement Account (IRA). So if you are wondering whether or not you should invest in bitcoin, the answer is a clear “yes”. However, you should never put all your eggs in one basket. It is undeniable that Bitcoin has done incredibly well over the past year. But then, so has the FANG (Facebook, Amazon, Netflix, Google). They have, in fact, seen similar increases in value as what Bitcoin has. Hence, financially speaking, investing in FANG is as good as an idea as investing in Bitcoin. On the other hand, you cannot buy a fraction of a FANG stock or bond, it has to be a whole one. By contrast, you can purchase a tiny fraction of bitcoin if you so choose, so long as you can find someone willing to sell it to you. Again, this points to a need to diversify your portfolio and include both bitcoin and more traditional investment classes. Bitcoin is maturing and it is unclear where it will go from there. FANG assets are incredibly strong and there is no suggestion that they will soon lose out. Bitcoin is more resilient against technological changes, which makes it a secure investment. The value of bitcoin is down solely to what people are willing to pay for it.